Six out of the eight contracts concerning the construction of Patra-Pyrgos Motorway are now just a step away from the completion of a lengthy tendering period as they have were finally ratified by the Greek Parliament allowing the signing of the contracts and the initiation of the construction phase, immediately after, ypodomes.com reports. The Ministry will call the contractors to submit all necessary documents, among which, the letters of guarantee, clearing the way for the final signatures. Experience so far suggests that the remaining procedures could require between 20 and 45 days. That means that the signing of the contracts will have been completed by mid-April, after which a pressing construction period is expected to begin given that 42 months are required according to the project's notice for the completion of the construction works. The new sections should be delivered sometime in the Summer of 2022. The project has been included in NSRF 2014-2020, since October 2017, with 355.60m euros and is regarded of crucial importance not only due to the significant traffic load of the axis but also because of the numerous road accidents with a high death toll. Along with Crete's Northern Motorway Axis (aka VOAK), they are, for the time being, the 2 worst roads of the country in terms of safety features, but, fortunately, implementation plans for their upgrade are soon to be a reality. The features of the new motorway will be the same as those in Olympia Motorway; i.e. 2 lanes + emergency lane (per direction) with a safety traffic isle and intersections. 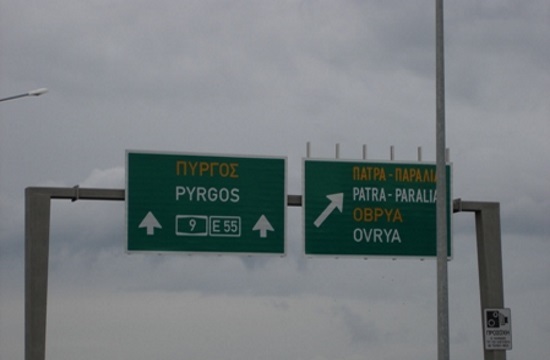 The 75 km-long Patra-Pyrgos project has been in the spotlight in both Achaia and Ilia prefectures as it was initially a part of Olympia Motorway concession project, from which was ultimately detached in 2013 with the revision of the contracts. The contract for Douneiika-Amaliada section has been awarded to INTRAKAT with a 45.50% discount and awaits to be approved by the Court of Audit, in order to be ratified by the Greek Parliament. The process is projected to be fast-paced, making the signing possible as early as in the 6 already-approved contracts. The third contract concerning Amaliada-Kyllini is facing legal setbacks because of the appeals fiiled by Themeli and Cyfield. Current underbidder for this contract is also INTRAKAT.